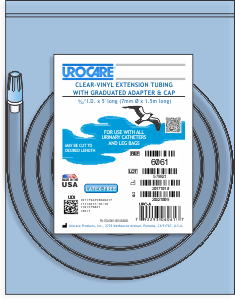 On this page you will find a variety of clear-vinyl and white-rubber drainage and extension tubing; some of which are included in our various kits and others that are sold separately. 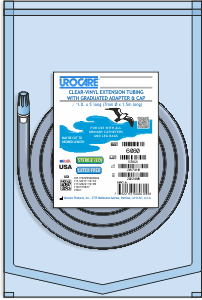 If you are looking for an item and it is not on this page, chances are the item is either listed under another menu category or it is not sold separately. 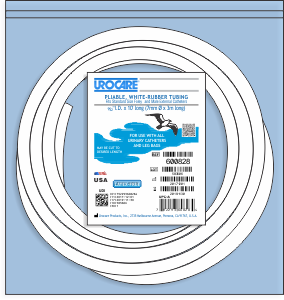 Items are listed in numerical order. 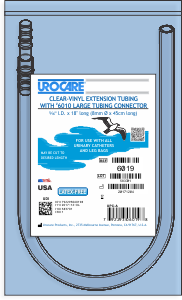 This tube may be used as an extension between Uro-Con® or Uro-Cath® male external catheters, Foley® indwelling catheters and reusable or disposable urinary drainage bags, bottles or other urinary and ostomy appliances. 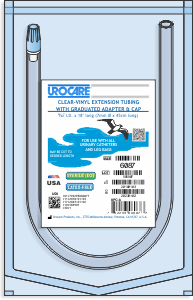 Provides a snug fit on most standard sized drainage ports/outlets while resisting kinks. 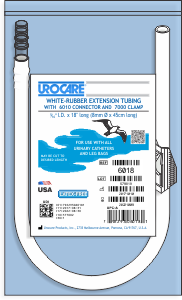 White-Rubber Drainage Tubing, 0.31" I.D. x 10 ft. 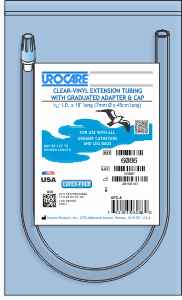 This tube may be easily cut to desired length and used as an extension between Uro-Con® or Uro-Cath® male external catheters, Foley® indwelling catheters and reusable or disposable urinary drainage bags, bottles or other urinary and ostomy appliances. 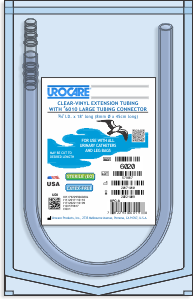 Provides a snug fit on most standard sized drainage ports/outlets while resisting kinks. 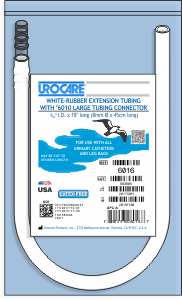 White-Rubber Drainage Tubing, 0.28" I.D. 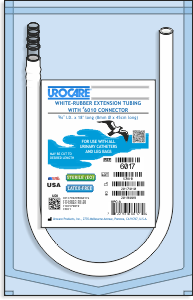 x 10 ft.
White-Rubber Drainage Tubing, 0.25" I.D. 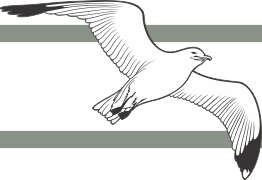 x 10 ft.